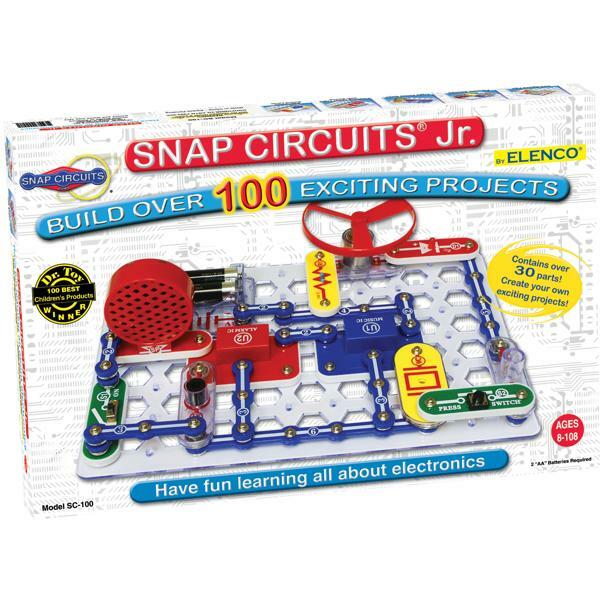 The Snap Circuits Jr Set is a great way to introduce your child to the fascinating world of electronics. This Snap Circuits set comes with easy to follow colorful instructions for building 101 electronic circuits. No soldering, wiring or specials tools required - simply snap the pieces together to make electronic connections. Each electronic component is mounted onto plastic plates that snap together easily. Parts include a speaker, photo resistor, motor and some specialty chips to spark your child's imagination. Your child will have fun building electronic circuits such as the Musical Doorbell, Alarm, Police Siren and more. 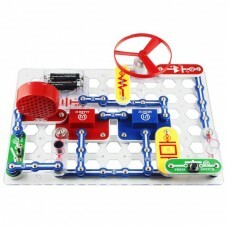 And this introductory set is fully compatible with other Snap Circuit kits for plenty of room to grow! This award winning set requires two AA batteries.